Gnome #11 is, well, gnome #11. We're adding an extra day for the Gnome-ja name. Have fun! 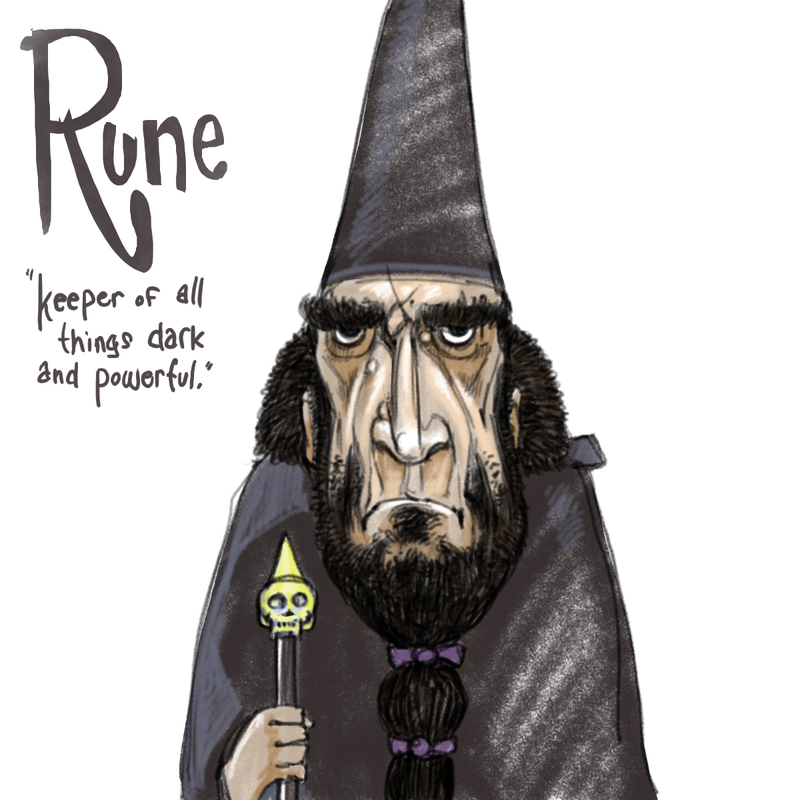 Rune. He is a gnecromancer. Mordsmorde. Despite looking really grumpy and scary, he is popular among the gnome children, who like to tie purple ribbons in his beard. the scepter is the skull of his pet goldfish. Keeper of all things dark and powerful. Burdle. Specializes in black magic and pastries (makes a mean eclair). Young Melicifant was crestfallen after pulling the dastardly lever of the dreaded slot machine of Dumon and aging 30 years.